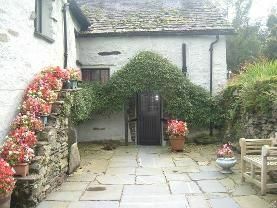 A very comfortable Bed and Breakfast near Ambleside. Built during the 17th century, its character and structural features have been preserved during modernisation and it has a warm welcoming atmosphere combined with the charm of earlier times. 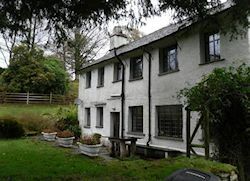 At the rear, beneath the fellside which slopes gently upwards to meadows, there is a picturesque flagged yard which forms the guests' entrance. The period leaded windows and the doors have been retained, together with ceiling beams. There is a high standard of decoration and comfortable furniture. There is full central heating. 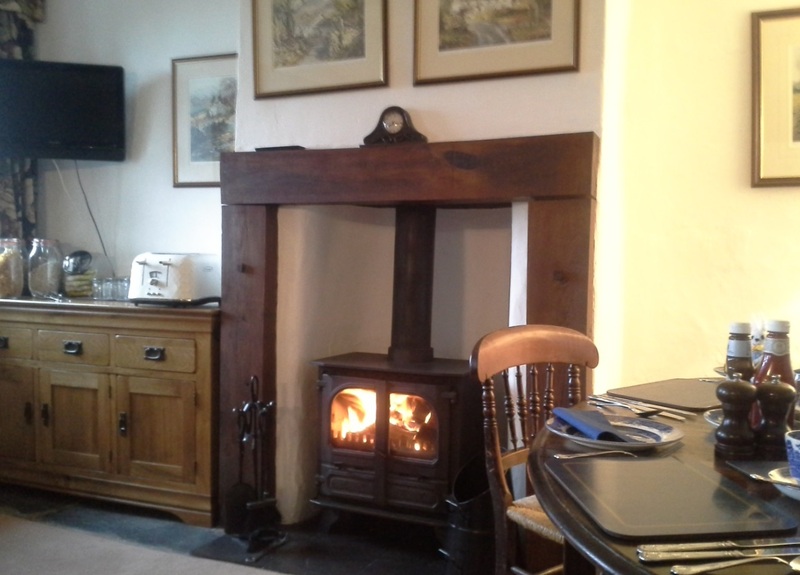 The breakfast room forms a cosy lounge in the evenings with real fires when necessary. We serve a generous full English breakfast, with vegetarian lighter alternatives, with special diets catered for. Packed lunches are also available. In the entrance hall is an extensive array of leaflets and brochures on walks and local attractions.